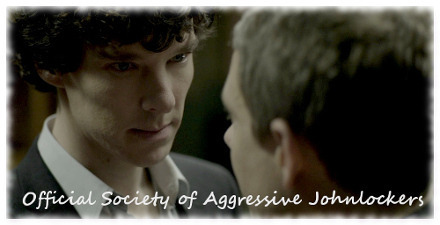 BBC Sherlock Fan Forum - Serving Sherlockians since February 2012 » The cafetaria scene "So you got a boyfriend then?" » The cafetaria scene "So you got a boyfriend then?" The cafetaria scene "So you got a boyfriend then?" This has probably been discussed to death in here, although I couldn't find anything in particular for this scene for the last year or so in here, so I dared to start a new thread. This scene must be one of my favorites in all the series. To me, it doesn't signal that either of them are gay or interested in each other. It is to me obvious that John is simply trying to get to know his new flatmate. There are a couple of things that makes this scene interesting, I think. 1. As the uploader says - this is the first (I believe) open discussion about homosexuality in Sherlock, something I think is a really good thing and a sign of the times. 2. The scene moves form casual getting-to-know-one-another chitchat to awkward insinuations really quickly. And I am unable to decipher the look Sherlock gives John when he asks if he has a boyfriend. I feel some kind of intensity, but I am unable to figure out why or what that is. What are you takes on this scene? Re: The cafetaria scene "So you got a boyfriend then?" I love this scene, too. Very much so. I'm just not entirely sure if this will lead us to new aspects concerning the men's relationship and to how we see it. I wouldn't like to get stuck in another discussion about what the Mofftiss wanted to get across and how I'm supposed to take it. Well, my point of this thread wasn't to discuss Johnlock, per se. It was more an analysis of the scene itself, from any angle. 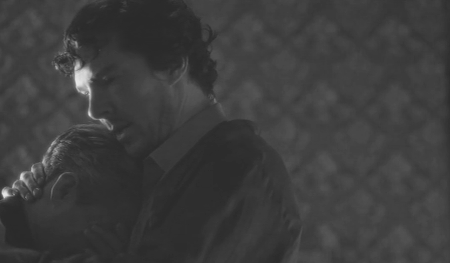 I personally don't think John came on to Sherlock in this scene. I think he just wanted to get to know his flatmate, but the situation just kind of escalated. It could be argued that if Sherlock deduced John to be flirting, who are any of us to argue? But that could be countered with him not being able to deduce emotions rather well at this stage (i.e the coffee invitation from Molly). So if we look at this scene as simply a misunderstanding - I am still not able to figure out The LookTM Sherlock gives John. Do you really want to get me started on this scene? There is a reason why from the beginning of the series many people have seen a certain something between them. Basically, John is curious, very curious. He has just been abducted by a man who offered him money for spying on Sherlock, knew all about his PTSD and financial situation, and said he worried about Sherlock constantly. IMO here John is testing the waters, for some reason he wants to know if Sherlock is single, what his personal situation is. Therefore he does not stop at mentioning friends/people you like/people you don't like but changes over to the relationship territory very quickly. You may interpret his interest as sexual - the intense looks, licking his lips, it being "good" that they are both unattached - or put it down to curiosity but one should keep in mind that these questions are not strictly necessary to answer his curiosity about meeting the archenemy. But of course the real classic is Sherlock's distinction between girlfriends and boyfriends. "Not really my area" compared to "I know it's fine". He could have said "I'm not gay" or "I don't care for men" or whatever you like, but he chooses not to, an attitude he keeps throughout the series, never denying that they are dating or in a relationship. I think there can be said a lot more about it but this is what comes to my mind spontaneously. I saw his "good" as "Good that we are both in the same boat - single". He said it rather absent-mindedly, so I think he was just finishing the conversation in his mind and going back to eating. And, yes, I did notice the "I know it's fine" instead of "not my area", but this was back when Moftiss hadn't decided on his sexuality yet, so I guess the deliberatly kept it ambigious. Having that said, I've heard that it was Steven Moffat who wrote this scene, simply because it was originally too short and he needed to expand on it. When Gatiss read the scene, he immediately said: "You know... this will be all they're going to talk about." I can imagine him being gay he saw what Steven didn't. 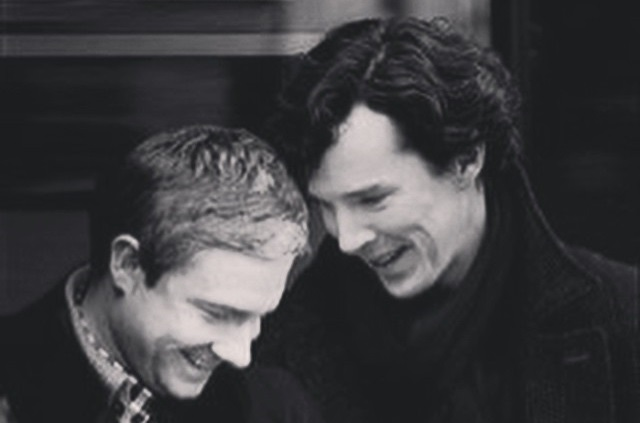 Well, ok, without delving into Johnlock or who is attracted to whom in body or soul, what I love about this scene that there is this very deep bonding between them, which goes all the way into the running/chasing the taxi scene and culminating in the giggling scene at 221b. That bond I miss very much in HLV. As for the look - John first asks if Sherlock has a girlfriend = if he is heterosexual and attached = there is no use in trying his luck with Sherlock. 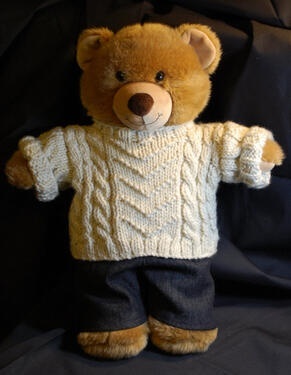 When hearing girlfriends are not Sherlock's area, he asks if he has a boyfriend = is gay and attached. I think this makes Sherlock think that John might be hitting on him, therefore the intense look. After all he is brilliant at deducing people so why should he fail in this case? He interprets John's question as romantic/sexual interest. And the fact that he even provides a sort of apology (married to my work) proves this deduction. He likes John immediately because he usually does not apologise to anyone. Yeah, I noticed that too. He lets down John pretty gently, which is quite unusal for him. I reckon he doesn't want to start up the relationship with his flatmate on bad terms. As for his deduction - it could be argued that he isn't really observant when it comes to emotional matters at this stage (ie. Molly and the coffee). Having that said - with Molly he is pretty oblivious to her obvious coming on. With John, he immediately concludes that he is flirting. I've never noticed the difference until now. I interpreted Sherlock's “not really my area“ as “I'm not into relationships”. As John continues asking if he has a boyfriend then, Sherlock starts to wonder if John is hitting on him – hence the look. Maybe he's a bit puzzled because he didn't think John was gay? Yeah, this is more or less how I see it too. 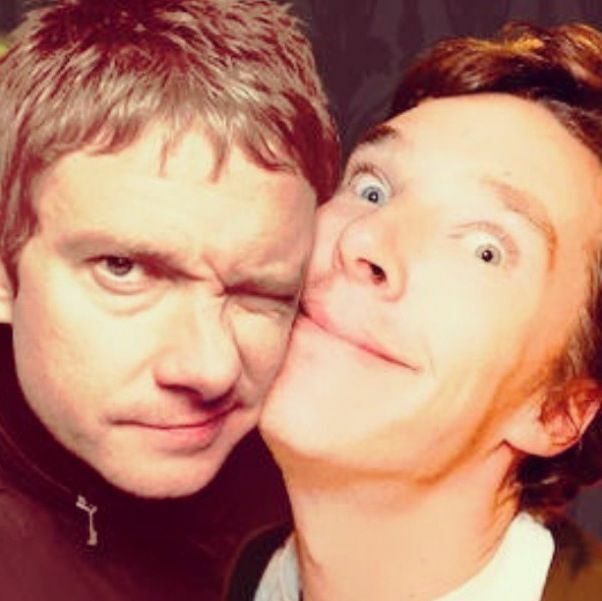 I think they just misunderstood each other - John is trying to get to know him, Sherlock thinks his flirting with him. I do like, however, that Sherlock doesn't in any way seem to be offended/annoyed or similiar by being asked if he has a boyfriend. Yes, it kind of establishes their lack of homophobia, but leaves Sherlock's orientation open (John never really does get a proper answer!). I think Sherlock genuinely means it about being married to his work. And yes, he misreads the cues both ways (Molly and John) - I hadn't thought of it like that! We do not know about Moriarty's sexual orientation. He uses a highly sexualised language when talking to Sherlock and it is clear that he uses Molly and Kitty just for his own purposes, not for any romantic reasons. And I am not sure if Sherlock truly misreads Molly or just chooses to ignore her advances. Yes, he could be just blanking her. (Although it's funny that in ASIB he so easily believes she has fallen for somebody else). I do think there seems to be something sexual in Jim's attraction to Sherlock. He's acting gay in the lab, but could well be - Sherlock just doesn't go far enough with his deduction. He lashes out the moment she mentions that Sherlock complained to her about being alone at Christmas. This triggers his vicious deduction. More on topic, I love the comments in John's blog about this scene. After this meeting, John says that he thinks Sherlock might be gay and that it doesn't matter either way. We know John gets exasperated, even defensive, when people tell him he's gay, but this comment really cements for me that he has no issues with homosexuality (because he doesn't mind sharing a flat with a potentially gay man) and therefore tells me that he really is straight and not just protesting too much about it. Sherlock: Yes. And then disinfect myself. Sssssh, Harriet. Don't shatter Susi's illusions!